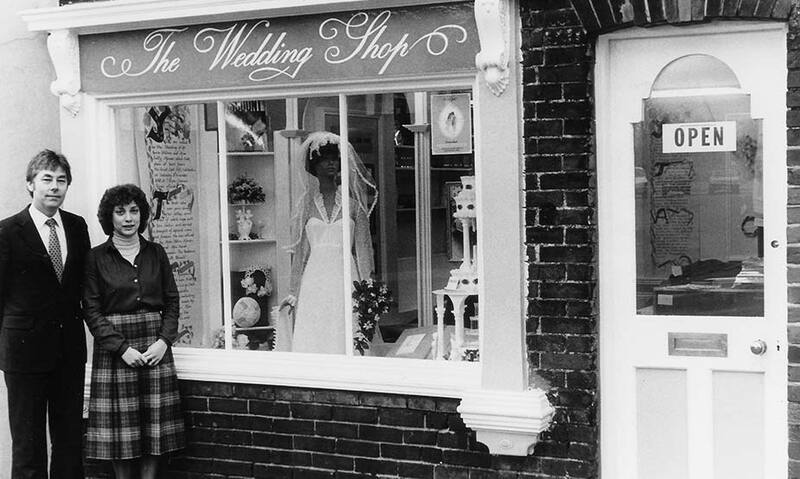 1980 – Les & Jean Coverdale found the perfect starting place for The Wedding Shop at the bottom of Colchester’s East Street. 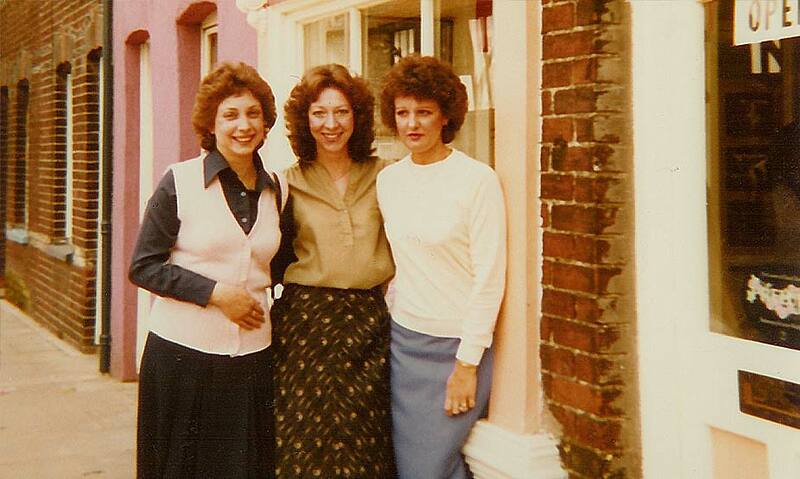 1980 – These three girls made up the first ever Wedding Shop team. 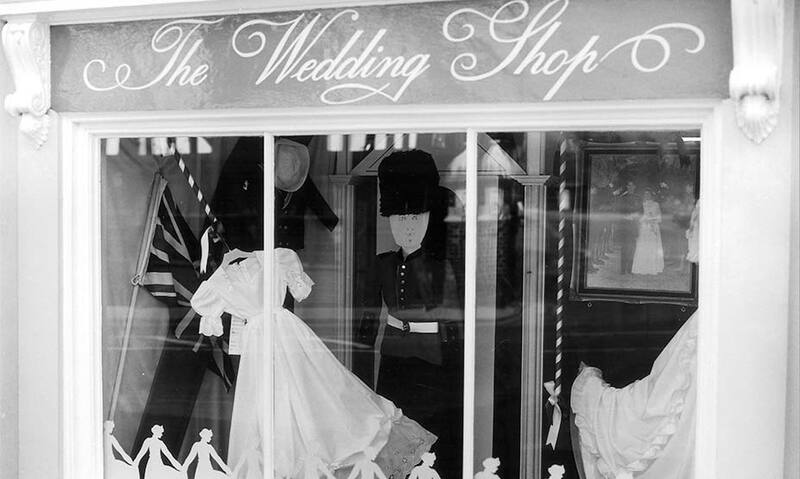 1981 – Window display celebrating the marriage of Prince Charles & Lady Diana. 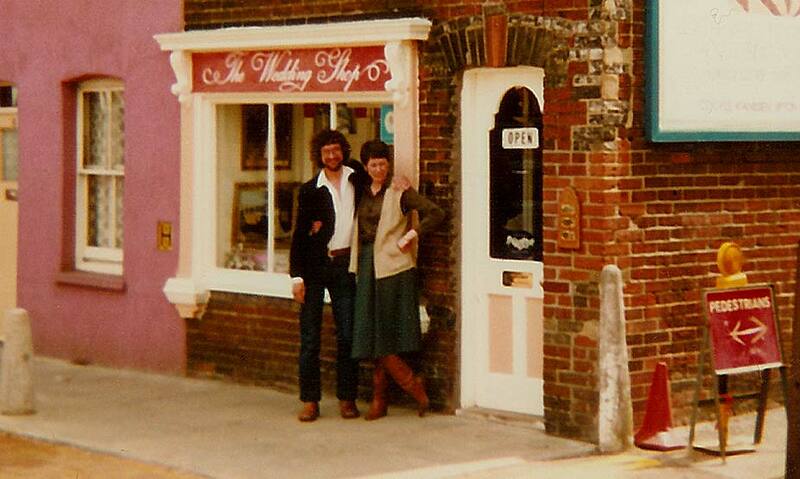 1981 – Michael and Jean Coverdale outside the shop on the shop’s first anniversary. 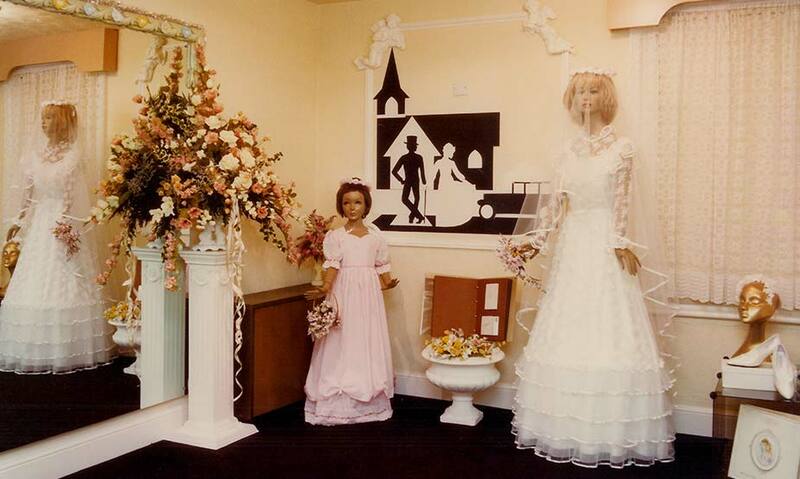 1981 – Window display complete with waterfall cake-stand. We added food dye to the water to match the bridesmaids. 1982 – How times have changed. It looks like the dress and curtains are made from the same lace! 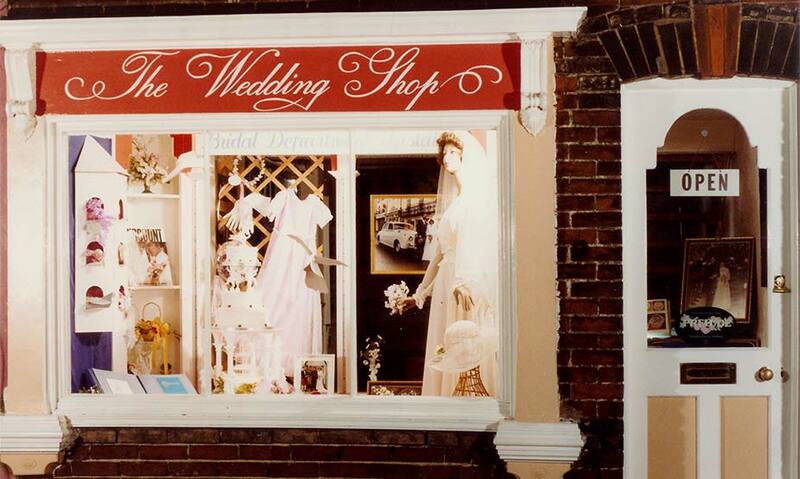 1983 – The shop front gets a makeover which sees the brickwork give way to a more cheerful coat of paint. 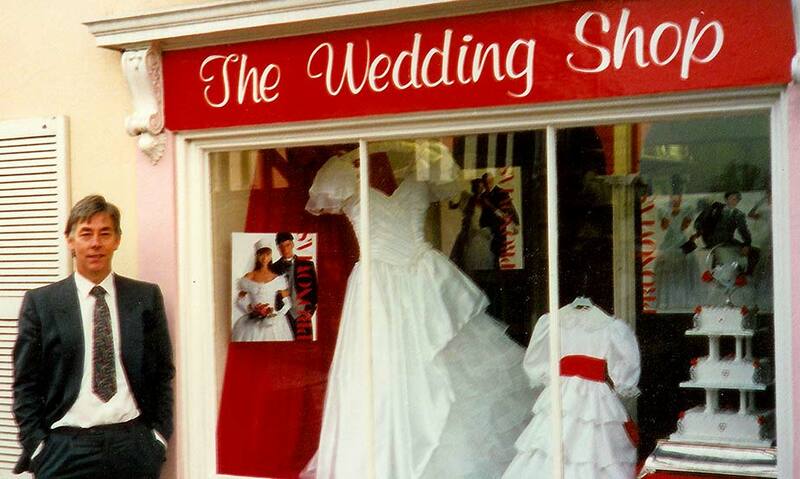 1985 – The launch of the new Pronovias Collection, brand new to the UK. 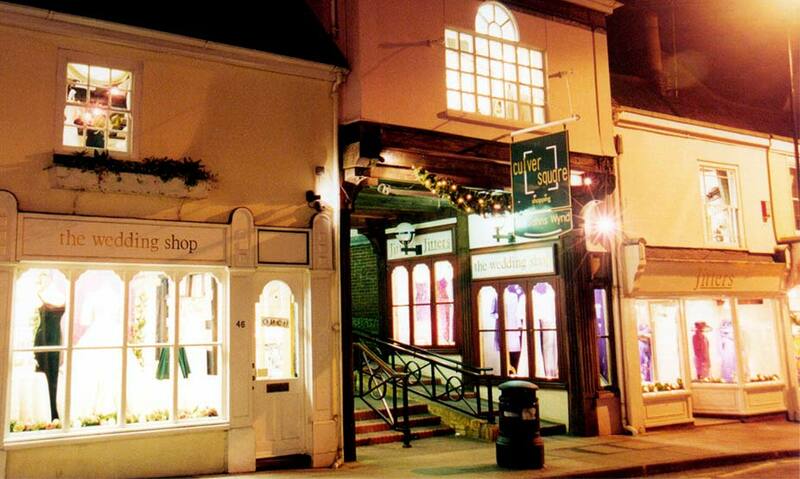 1989 – Moving to St. John’s Street was a huge step. We were lured by a beautiful oak beamed Grade II listed building with 30ft high ceilings. 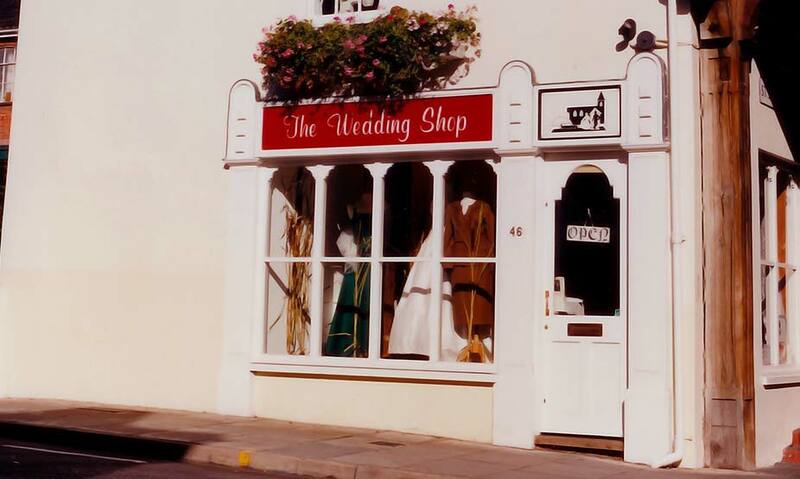 1996 – This year saw Nicola take over the running of the shop, and it won the Wedding & Home Magazine ‘Wedding Shop of the Year’ award. 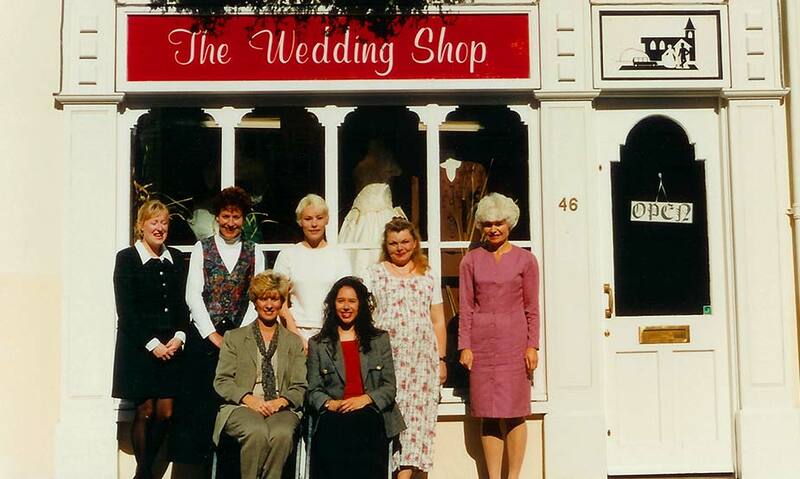 1998 – The Wedding Shop was bursting at the seams with new collections, so the shop next door became the home for the bridesmaid dresses, and new Mother of the Bride department. 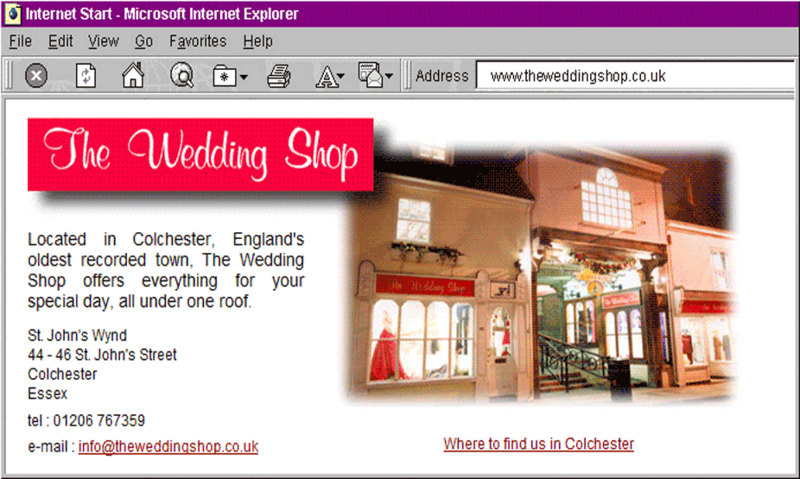 1999 – In February 1999 we launched our first website. This two-page beauty served around 50 people per week. 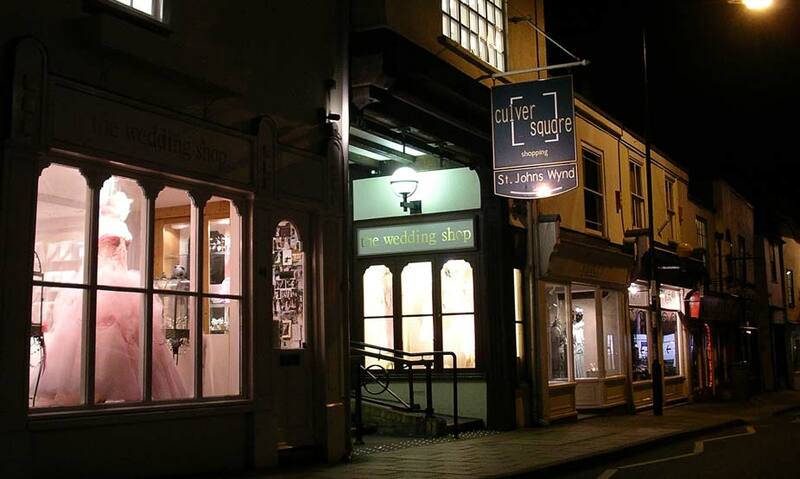 2005 – By the mid-noughties, The Wedding Shop improved alteration turnaround times by introducing an in-house seamstress team. 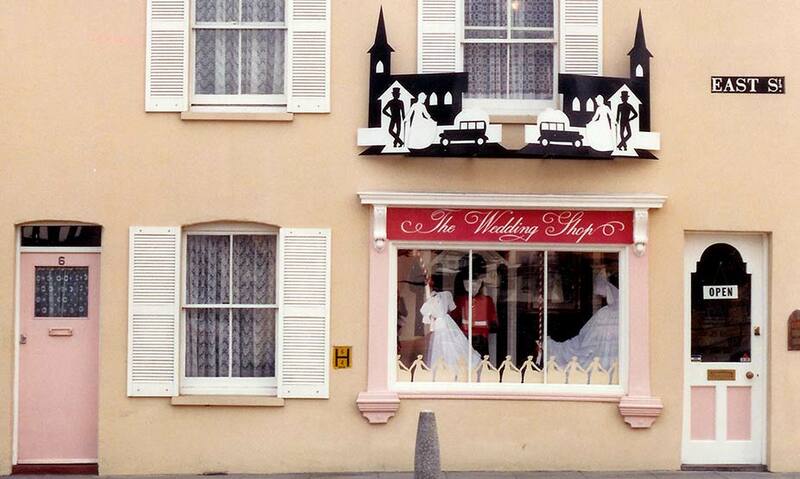 2012 – The biggest change yet for The Wedding Shop. 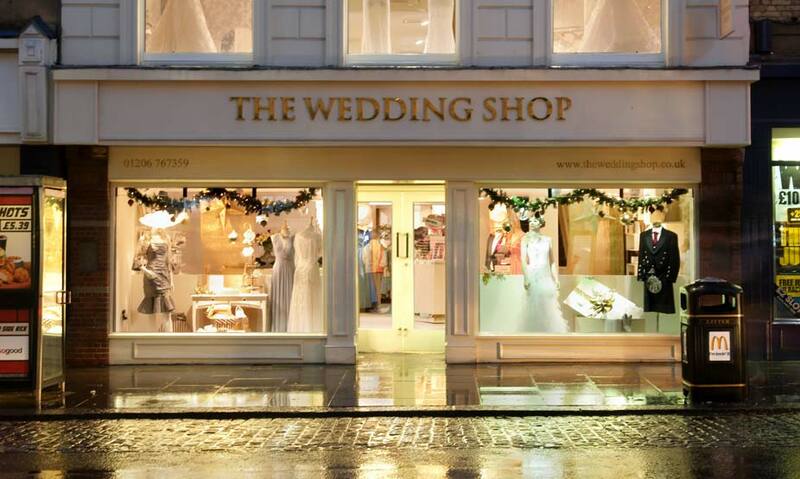 2012 sees all departments come together under one roof to create a bridal department store.